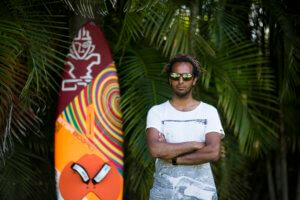 Boujmaa Guilloul just finished the International Windsurfing Tour with an overall 2nd place. 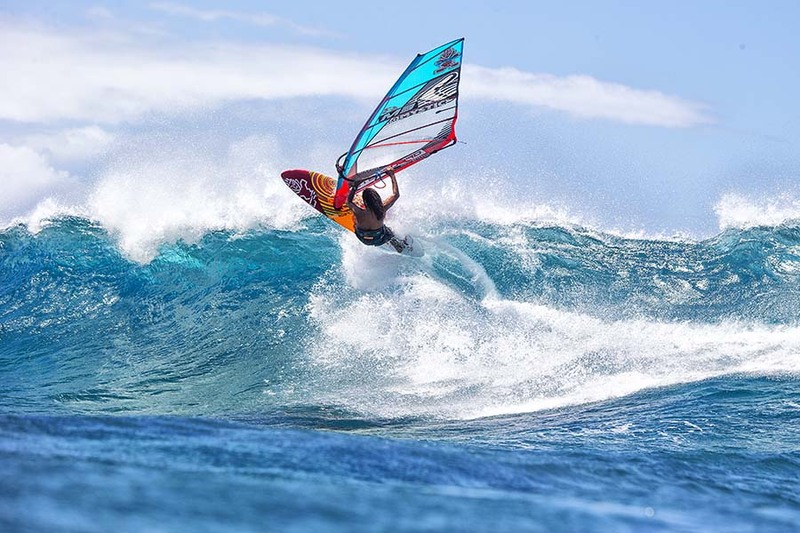 An impressive result from the Moroccan wave windsurfer. Through the season he got 3rd in Morocco, 1st in Oregon, 3rd in Mexico and 5th on Maui. How was your year in the IWT? IWT tour was as fun as always. I have been enjoying touring the USA and the rest of the world, including my own country, Mexico, Oregon and Hawaii, which are my favourite spots where I have the most fun. I didn’t go to Peru and Chile, due to budget restrictions and due to the wind being from the left, which is my weaker side. I prefer to perform and have fun, more than just trying harder and harder to be better. Which IWT contest was the best one for you? I loved Oregon and the fact that I won there. But I also love Hawaii. Squeezing a 5th place here is always an incredible achievement for me. 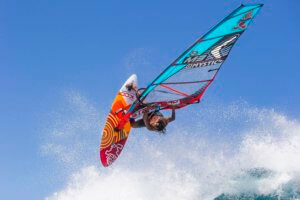 What drives you in windsurfing? I believe the passion is what always drives me, and to live from a passion is a unique gift. Travelling the world and learning so much is the journey that windsurfing is offering, and for that, I will always and forever be windsurfing. In the Starboard wave range, we have the UltraKode with a special Boujmaa version. Tell us what kind of conditions this board is good for. What’s the difference between this one and the normal UltraKode? The UltraKode is a great board for wave sailing in general. The Boujmaa version is a typical board for a lightweight windsurfer that loves to sail in high wind and fun onshore to offshore condition. It´s easy to bottom turn due to its narrow tail. What is your next goal after finishing the season in 2nd place? I want to travel around for a bit. Maybe try to score some big waves in Morocco or around Europe depending on the conditions. I´m also planning, together with my friend Flo Jung, to cross the Atlantic on a normal windsurf board. We want to draw attention towards the drastic situation of ocean pollution. We will through this journey start a movement of positive living that will influence the next generations to not follow the past generations on their approach toward plastic and trash. In general for a long life on this planet. We will probably start with few crossings around Europe, and between Morocco and the surrounding islands. Will you try the triple loop again? Tell us about that time. What was going on in your head right before take off? I don’t know yet if I will try the triple loop again unless I get to totally control my double loops. I wouldn’t try a stalled triple again, that’s for sure! All I thought of that day, was that I had the perfect set up to send a triple forward. Tell us about the IWT and PWA event in Morocco that you organized? Morocco was a super fun event, although stressful for me to organize and compete at the same time. I still enjoyed the fact that it gathered some of the greatest windsurfing girls and boys on the windsurfing planet. I didn’t expect the conditions to be so radical. The girls and the boys showed that they are able to defy mother nature no matter how radical the ocean can get. Why should people go to Moulay?